Medicinal plants have been a rich source of medicines. Mucuna pruriens is extensively used in Ayurveda to treat kampavat (Parkinson’s disease in modern medicine), a disease characterized by excess of Vata. Clinical and preclinical studies have substantiated claims on its efficacy and safety in PD and there are indications that it is more effective than the levodopa in reducing dyskinesias. Several constituents of Mucuna seeds such as genistein, gallic acid, unsaturated acids, nicotine, bufotenin, harmin alkaloids, lecithin, etc. have been isolated which possess neuroprotective activity and support the antiPD activity of levodopa. The review describes various constituents of Mucuna pruriens seeds in context to therapeutic utility in treating Parkinson’s disease. 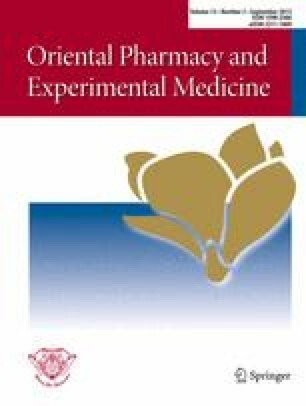 Since the conventional treatment of PD using levodopa with other add-on drugs is very expensive and Mucuna pruriens seeds are easily available and economic, the use of standardized extract of Mucuna seeds may drastically reduce the cost of treatment and also reduce the progression of disease. The review emphasizes the importance of holistic approach of Ayurveda in using the Mucuna pruriens in treatment of PD. Further studies may provide an approach to understand the mechanisms involved in treating PD with lesser adverse effects.